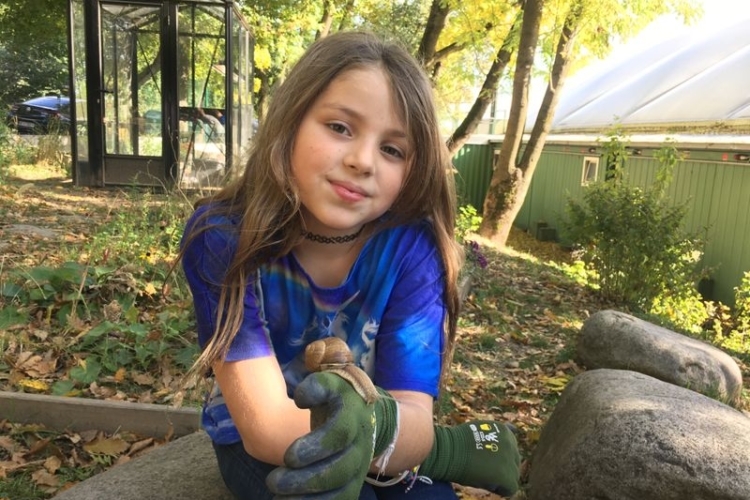 Spring is in the air and students at The American International School · Vienna are excited to get back to the Outdoor Classroom. The previous fall, each elementary student planted a tulip bulb. Now, after a long patient winter, students will get to see their flowers bloom. 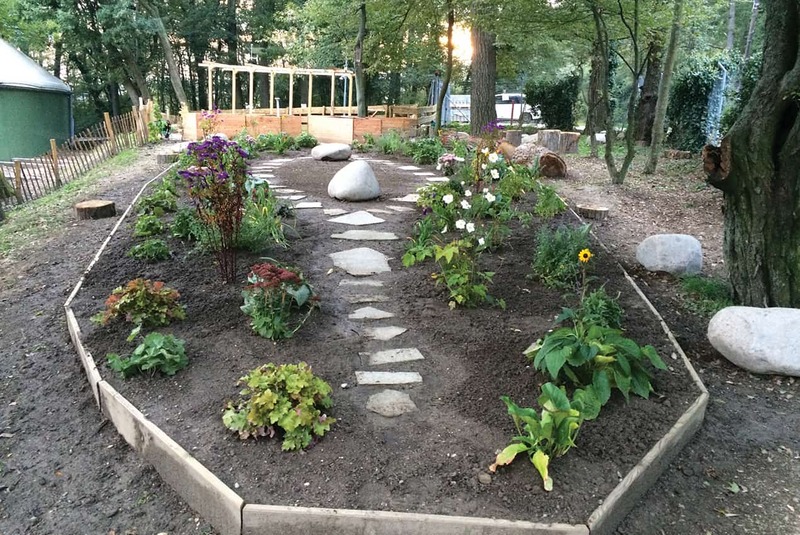 The idea for the Outdoor Classroom blossomed in 2014 when Brian Golden, a Grade 3 teacher, attended an international conference on outdoor education in the United States where he met with renowned scholars and experts. He returned to Vienna with the inspiration and knowledge to plan the school’s own outside classroom. Golden helped identify the perfect site: a previously underutilized area adjacent to the Sports Hall. The space would allow for a fence to be built that could keep students safe while allowing maximum use of the allotted plot. Mature trees and grasses already occupied some of the grounds, making it a forest-like environment that provided both shade and open spots for planting. Most importantly, the location is in the Vienna Woods, a designated UNESCO Biosphere Reserve. 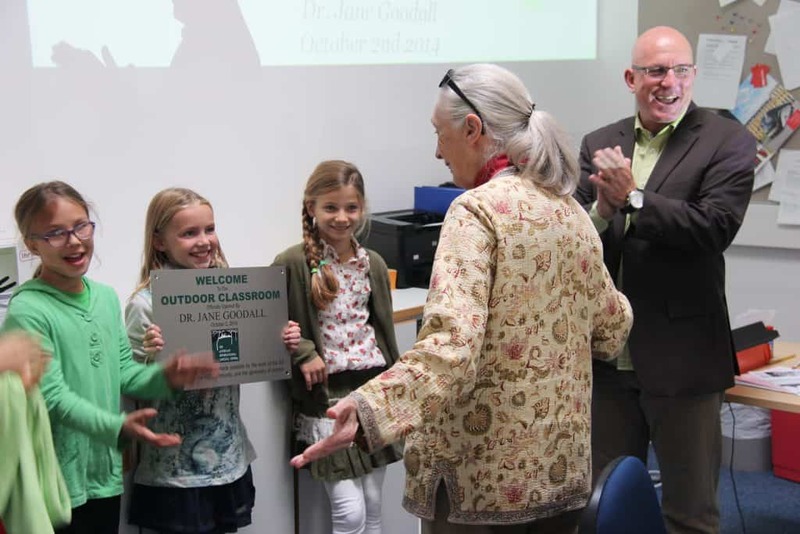 Vienna is the only world capital partially situated in a Biosphere Reserve, making AIS’ Outdoor Classroom the only one of its kind. Dr. Jane Goodall, world-renowned scientist and international leader in environmental issues, officially dedicated the outdoor classroom during her visit to AIS in 2014. At the ribbon cutting, she praised AIS’ initiative to take learning outdoors and explore the natural world. A plaque on the fence door to the classroom memorializes this special endorsement. The Outdoor Classroom provides endless opportunities for sun-dappled study. The main garden area, called the meadow, has wild flowers and green growth to attract bees and butterflies. The teaching area has a chalkboard and tree stumps for student seating. The armature area has a specially designed pergola that gives form-to-function: in addition to being used as a growing area for plants, the structure is a weather station and STEM lab with tools for measuring experiments with levers and pulleys. The raised garden beds, seven total, are assigned and tended to by each elementary grade, Pre-K through Grade 5. A greenhouse provides year-round growing space and a ‘digging and discovery’ area has soil-based exploration. Teachers tailor curriculum to suit. In Grade 3, the Outdoor Classroom helps extend FOSS (Full Option Science System) research units, like water erosion. It’s all in an effort to foster unity and develop primary skills in a elemental setting. 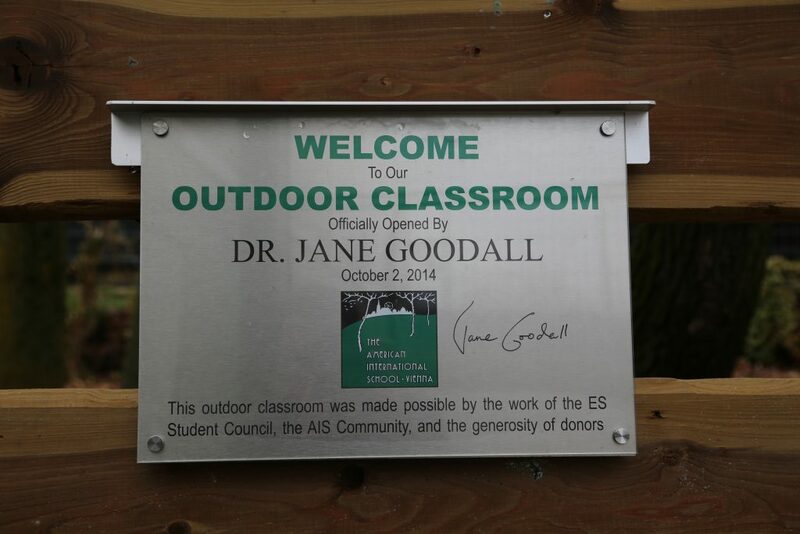 From its inception, the outdoor classroom has been a grassroots community-building project. The majority of funding was organized by the Parent Teacher Forum and aided by individual donations. Under the direction of Brian Golden, the Elementary Student Council took the lead in surveying peers on design and construction. Grade 5 students made the project a service learning opportunity, hosting a Fun Run and bake sales. 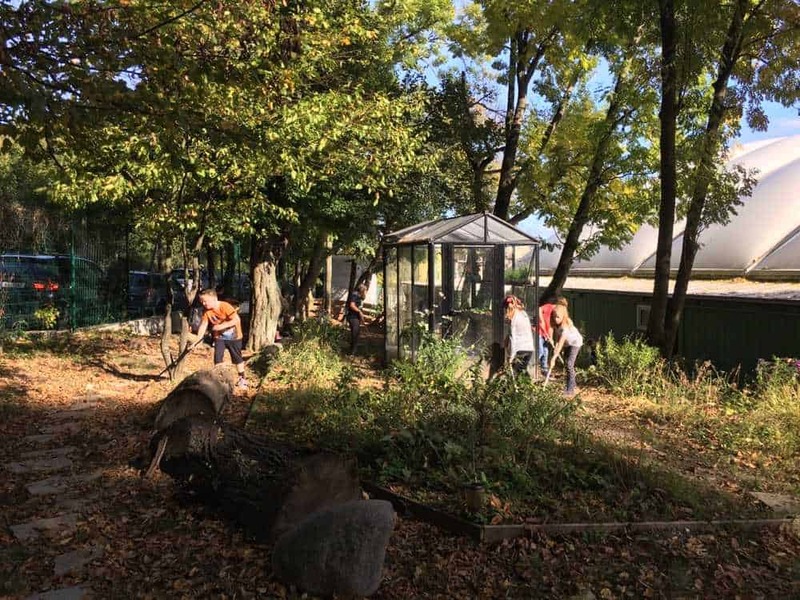 The entire school is now responsible for maintenance and upkeep, including raking, watering, and cleaning garden beds.